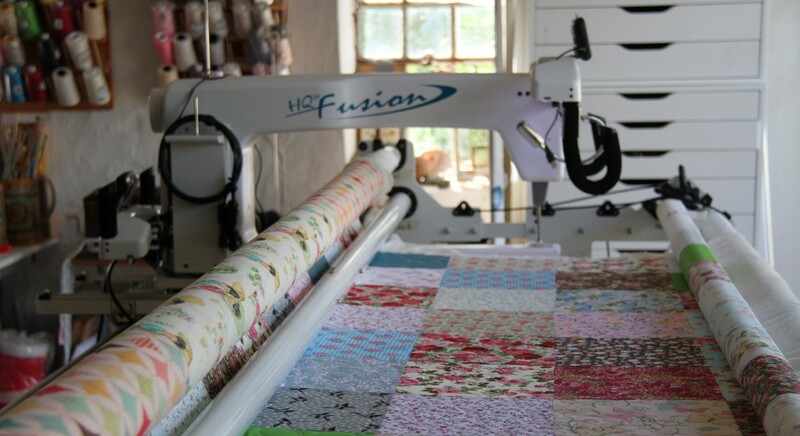 I think I must be the luckiest longarm quilter in the world, I get beautiful hand stitched quilts made by the fantastic Danish quilters. This beautifulhand stitched and hand embroidered quilt is called American Winter. I lost cound on how many different greens and creams there are in this quilt. I wanted to quilt the quilt traditionally but what to do to enhance the winter stitchery? Lots of them in different sizes and types. I had so much fun with the snowflakes. A nice wide border deserved a super feather design. All finished, my son came in while I was quilting this quilt and said it was amazing, he loved the colours. I used 4 different thread colours too. A beautiful quilt a joy to work with, I think I have the best job in the world!